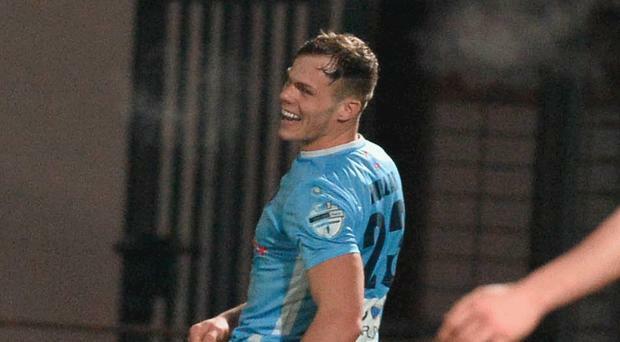 Ballymena United bounced back from a disappointing defeat at Glentoran to clinch an emphatic 6-1 win over Institute at the Showgrounds. Institute missed an early penalty before Ryan Mayse handed the Braidmen the lead in the 13th minute. Mayse added a second and goals from Albert Watson and Leory Millar sent Ballymena in 4-0 up at the break. Stute pulled one back through Paul Smith in the 55th minute before Adam Lecky and Shane McGinty bagged again for Ballymena. The result leaves Ballymena six points off leaders Linfield with the teams still to play at the Showgrounds next month. In the other game Crusaders ran out 3-1 winners over Warrenpoint. Warrenpoint took the lead at Milltown through Lee Duffy on the stroke of half time. In the second half goals from Matthew Snoddy, Billy Joe Burns and an own goal from Simon Kelly handed Crusaders victory.